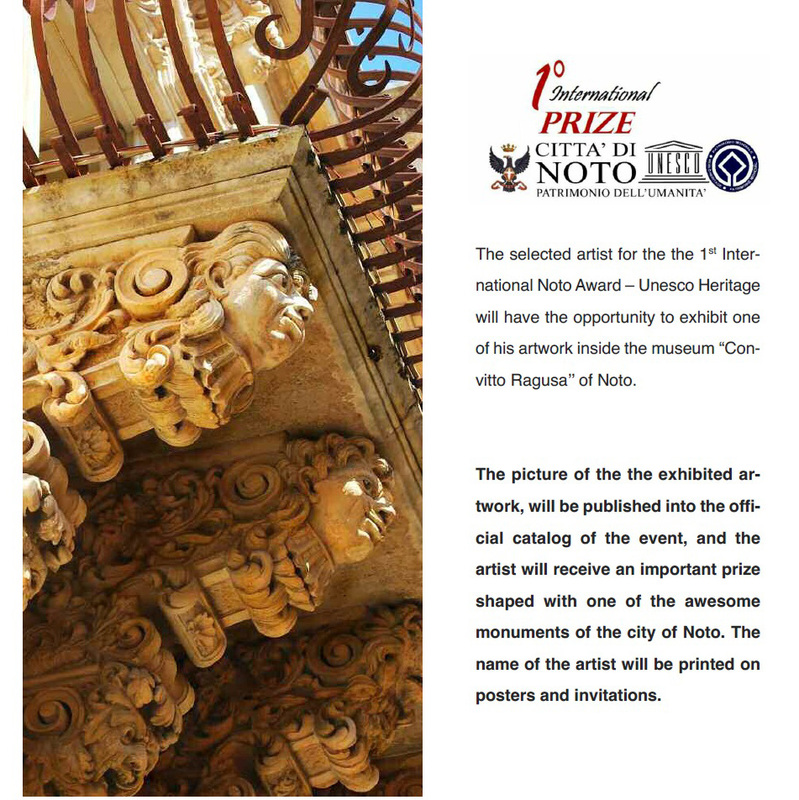 The beautiful city of Noto, already UNESCO heritage thanks to its city center, will host the 1Β° International Noto Award - UNESCO Heritage. On December 4th, 2015, into “Convitto Ragusa” Museum the awarding ceremony will take place. The award will be given to the most important personalities of the world of art and culture. Β To the ceremony will be in political and cultural authorities and UNESCO representatives. For this occasion a visual arts exhibition will be arranged in the rooms of the museum.